The North East Center for Environment Education & Research (NECEER), Imphal in association with Department of Biotechnology, Jamia Millia Islamia, Delhi Greens and World Institute of Nature, Pune invite concerned citizens to the Enviro Lecture Series, a quarterly lecture series starting from September 2010 in Delhi. Academicians, scientists, researchers and experts/activists will deliver lectures on different issues of Environment and Biodiversity of the country especially with respect to Northeast India. Northeast India is the most biodiversity rich region in the country and comprises eight states, viz. Arunachal Pradesh, Assam, Manipur, Meghalaya, Mizoram, Nagaland, Sikkim and Tripura. It occupies 7.7% of India’s total geographical area supporting 50% of the flora (approx 8000 species), of which 31.58% (approx 2526 species) is endemic. Due to this presence of large number of endangered and endemic species, the region is recognized as a biodiversity hotspot. The region is yet to be explored thoroughly and efforts need to be made to connect it with the rest of the country. Time has come to create a platform where Northeast India can showcase its diversity and for the rest of the country to know Northeast India. Enviro Lecture Series is thus one such initiative in the right direction. The lecture series will highlight the biodiversity richness of the region, characterize the ecotourism potential of the region and the spell out the threats due to the changing climate in the region. 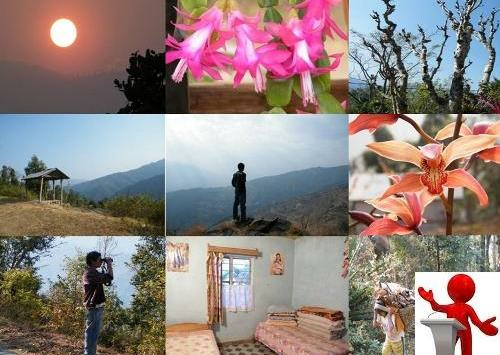 The participants will get an opportunity to know in details the mystical and enchanting land of Northeast India. All participants will receive participation certificate and NECEER’s new publication BioDiverse. 100 participants will be selected for the September lecture (from registered candidates). The topics for the September Lecture Series include Wildlife of NE India, Plant Diversity of NE India, GIS and RS in Wildlife Conservation, Biodiversity Conservation & Political instability in NE, Climate Change and Northeast India and Impact of Climate Change on Biodiversity of NE.